The William II is ready to move into now. NEW EXCLUSIVE LUXURY COMMUNITY! This beautiful two story home with an open kitchen boasts a large breakfast bar and breakfast nook. The spacious family room features a fireplace and coffered ceilings. The vaulted ceilings in the master suite add drama, and the large master bath includes a separate tub/shower, double sink vanity, linen closet and walk-in closet. The sitting room attached to the masters suite is perfect for a small home office or a private retreat. The large media room is great for a play room or true media room. Fully sodded yard and irrigation system included. 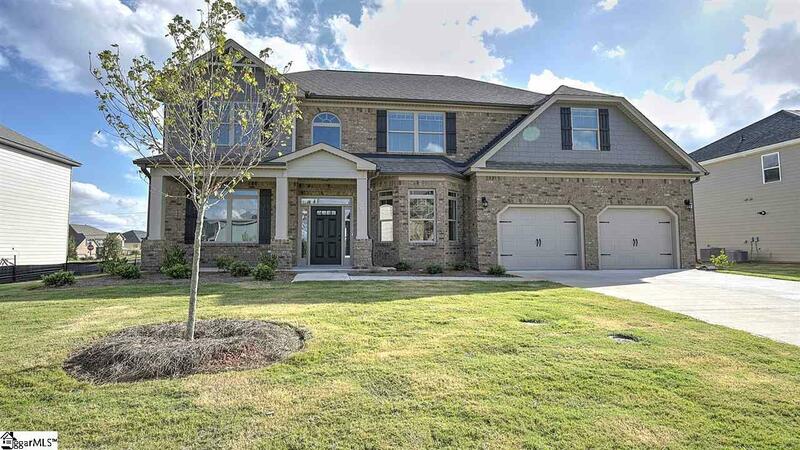 Centrally located between downtown Simpsonville, Woodruff Rd, I-385, and Fox Run Country Club.